Music at Decatur First: True Confession: Opera Isn't My Thing. I'm Sorry. True Confession: Opera Isn't My Thing. I'm Sorry. Not long after I started working at DFUMC, one of my choir members was at once surprised and horrified when he made an astonishing discovery about me: I don't like opera all that much. I hope you don't think less of me, and I fully understand if you want to stop reading now. "I'm not a fan of opera." "Because they sing instead of talking. Can't they just talk and then sing the arias? The arias and choruses were nice." "Nobody likes the recit, John. They tolerate it until the good parts happen." "When I'm an opera director, I'm going to make them speak those parts." "Aren't you going to be an Air Force band director?" 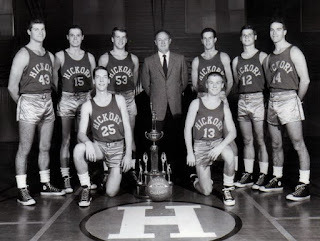 No, it's not because of Jimmy Chitwood's fantastic haircut. It's because the Hoosiers are a team. A big part of the movie is the coach teaching them exactly what it means to work as a team. And heck, his insistence on the importance of the team is the very reason we even get to see Jimmy Chitwood's excellent hair anyway! 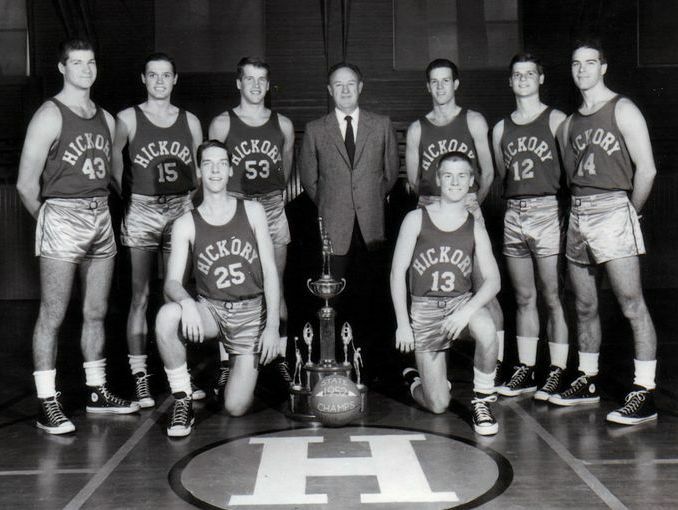 (By the way, Hoosiers is currently available on Hulu if you have a hankering to watch it). For a team to work, each member of said team has to be committed to the whole. If anyone tries to be the star, things break down quickly (and Argentina wins the gold medal in Athens). Making a great choir doesn't require great individual voices. It requires people who strive to be one with each other above all else. As evidence, I would offer two brief stories (understanding this is likely the second time you've been tempted to quit reading). First, a choir that should have been great. I was at ACDA (a large gathering of choral dorks). I was looking forward to a concert session that featured a choir made up entirely of vocal performance majors (read: budding opera stars). I thought that all those superdy-duper singers would have to make an excellent choir. They didn't. Their vibrato destroyed their intonation. Their individual musical choices kept them from being together. I seriously thought they were going to fall apart. These are all people who would likely make their living as singers. Second, a choir that shouldn't have been great. I was an assistant director, and as such heard auditions in this group. Over two years I heard every voice. The singers were mostly in the group as a hobby. Some made their living as church musicians, but most worked in other fields. As I listened to audition after audition, I was shocked that our choir could possibly sound as good as it did. To be clear, this choir remains to this day one of the best I have ever heard, and it was made up of amateurs. but they were amateurs committed to something greater than themselves. Opera can be beautiful. No doubt. But it's a soloist, or it's a few soloists. Even when they sing together, they aren't really singing together. A choir, though, that's different! Fifty singers. One voice. "For just as the body is one and has many members, and all the members of the body, though many, are one body, so it is with Christ. For in the one Spirit we were all baptized into one body—Jews or Greeks, slaves or free—and we were all made to drink of one Spirit." There is no better illustration of that truth than when a choir sings. Hear-hear! It's not all about that voice; it's all about that blend. I really enjoy singing in a 40-50 member chorus. I enjoy listening and matching the tone and pitch of those around me. But I have a secret; I do not like Broadway Musicals. That's musical theater, right? Yeah, not so much.